Advances in biotechnology capabilities during the last two decades have made it possible to engineer biological molecules for medical purposes, e.g., recombinant hormones and growth factors, monoclonal antibodies (mAbs), vaccines. Such treatments, commonly referred to as biotherapeutics, are typically proteins or polypeptides of >40 amino acids whose active components are constructed using biotechnology. This broad class of drugs, which includes agents for a wide variety of indications, now accounts for a significant proportion of new drug approvals. 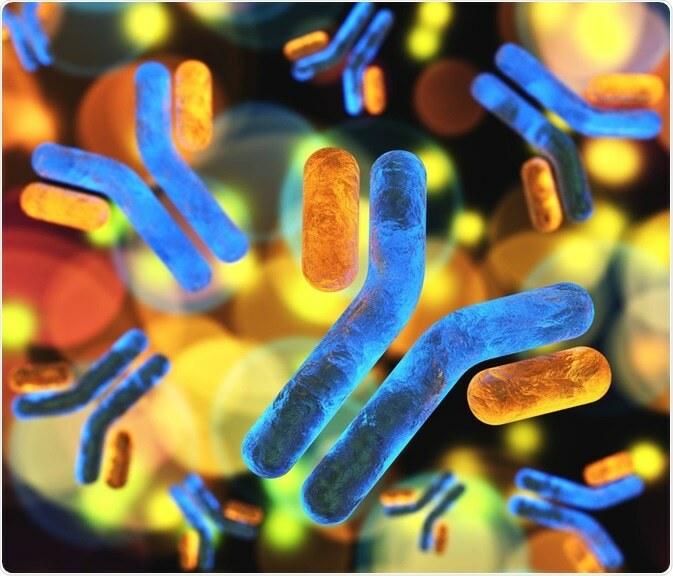 Monoclonal antibodies in particular are a valuable tool for providing targeted treatments by virtue of their high specificity. In 2017, 22 of the 46 drugs approved by the FDA were biotherapeutics, and 10 of these were mAbs. As is the case for traditional small molecule drugs, biotherapeutics must be fully characterized before they can be marketed to ensure patient safety. Indeed, this is especially important for protein-based therapies as these have the potential to elicit an immune response. The complexity of biological therapies and their susceptibility to denaturisation mean there is a huge scope for structural variations. Since even the smallest change can significantly impact both function and immunogenicity, it is important that biotherapeutics can be analysed to the highest level of detail. Furthermore, the complex manufacturing process for biotherapeutics provides even greater scope for structural deviation. It is therefore critical to ensure that only correctly formed and conjugated product reaches the supply chain. The need to gain in-depth structural and compositional knowledge of complex biopharmaceuticals has placed huge demands on bioanalytical capabilities. Indeed, it has catalysed the development and enhancement of numerous techniques for analysing proteins and determining immunogenicity. The slightest structural changes in a protein can have serious efficacy and safety concerns. In addition, there is considerable potential for contamination with degradation products and unconjugated precursors, which could give rise to adverse effects. Such safety concerns led to the introduction of regulatory requirements for each component of a biotherapeutic to be isolated and individually characterized. The powerful separation capabilities of ultra-high-performance liquid chromatography (UHPLC), combined with its speed and good resolution, makes it a valuable tool for the detailed characterization of biopharmaceuticals. Atis Chakrabarti of Tosoh Bioscience LLC will be giving a presentation at Pittcon 2019, "Different Modes of Analytical Chromatography Techniques for the Characterization of Biomolecules", in which he will explore the use of different chromatographic modalities in the characterization of mAbs. The various UHPLC techniques are used in combination with a detection capability, such as UV, or light scattering, and additional structural information can be acquired using mass spectrometry. Such a multidimensional analytical approach serves to increase the potential sensitivity and makes it possible to characterize more complex proteins. Read the full "Analytical Highlight" article. However, to achieve complete separation of biotherapeutics, an arduous and complicated method development process is often needed to find the optimal UHPLC configuration. At Pittcon 2019, Michael Dong will be detailing techniques for speeding up method development in his talk entitled "UHPLC in Method Development of Stability-Indicating Methods". Biosimilars are the biotherapeutic equivalent of generics for small molecule drugs. The abbreviated licensure pathway for biosimilars enables new versions of a biotherapeutic already on the market to be licensed if they are proven to be comparable to the product they copy. Since even the slight difference in post-translational modifications, such as glycosylation, can significantly alter the function and immunogenicity of a biomolecule, highly efficient analytical methods are needed to confirm that a biosimilar closely replicates the originator molecule. At Pittcon 2019, Akos Szekrenyes of Glenmark Pharmaceuticals will be giving an overview of the current analytical techniques used to assess the similarity of biosimilars in his presentation "Comprehensive Analysis of Biosimilar Monoclonal Antibodies: Current Trends based on the Lately Approved Follow-On Products". The numerous opportunities for structural heterogeneity in recombinant proteins give rise to the risk of immunogenicity. If a patient raises an immune response to an introduced biotherapeutic it can have dangerous consequences, such as reduced efficacy, destruction of the endogenous counterpart, alterations in drug pharmacokinetics, and hypersensitivity reactions. It is thus important that antibodies against a biotherapeutic can be reliably detected and distinguished from other antibodies. In addition, it is necessary to fully characterize the precise pattern of post-translational modifications on a biotherapeutic so immunogenic potential can be assessed early in development. Intact liquid chromatography-mass spectrometry (LC-MS) techniques are valuable tools for assessing structural modifications, such as glycation, of proteins. The complexity of biotherapeutics means that regulatory bodies cannot specify the techniques that are acceptable to demonstrate the purity, immunogenicity or biosimilarity of a treatment, since it is usually necessary for the analytical methodology to be tailored to a particular biotherapeutic. Instead the manufacturer must propose the appropriate analysis technique and prove that it is fit for purpose. Analytical method validation (AMV) not only gives the regulators confidence in the results reported by pharmaceutical companies, it also ensures the quality of the development and production processes, which in turn ensure a quality final product. The Race for Better Biotherapeutics: Why a Comprehensive Analysis is Key. The development of an analytical methodology that will meet regulatory requirements begins with the determination of specific properties or characteristics, be they physical, chemical, biological, or microbiological, that should be within an appropriate limit to ensure the desired product quality. These are known as critical quality attributes (CQA). At Pittcon 2019, Li Tao of Bristol Myers Squibb will be discussing analytical development based on critical quality attributes and how this relates to the characterizing of biotherapeutics in her presentation entitled “Current Status of Analytical Development During Process Development for Biologics”. Numerous market-leading producers of bioanalytical technologies, products, and services, including Advion, Bruker, SilcoTek, ThermoFisher and Waters Corporation, will also be present at Pittcon 2019 to discuss the latest additions to their capabilities and address your specific analytical requirements. Fekete A, et al. Current and future trends in UHPLC. TrAC Trends in Analytical Chemistry 2014;63:2‑13. Zhang YJ and Hyun JA. Technologies and strategies for bioanalysis of biopharmaceuticals. Bioanalysis 2017;9(18). https://www.future-science.com/doi/full/10.4155/bio-2017-4981.